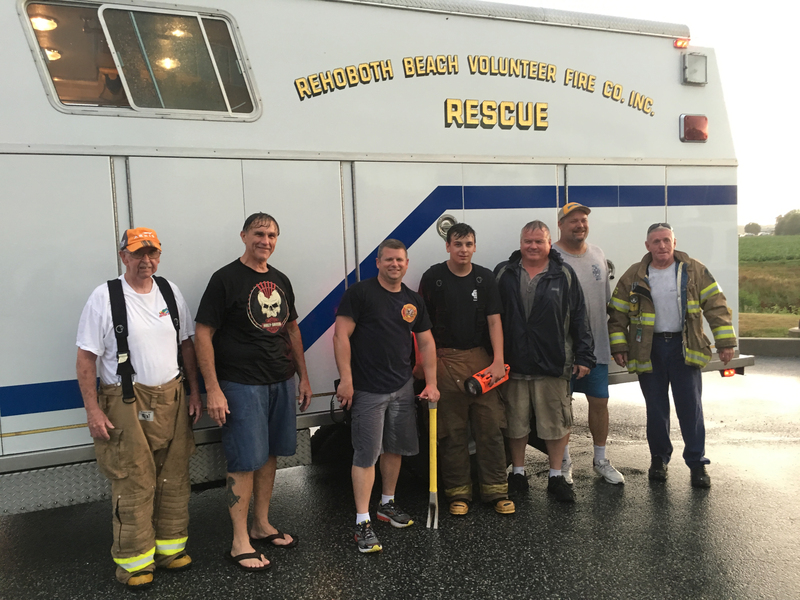 Beebe Healthcare thanks the Rehoboth Beach Fire Department rescue team who responded to a call at Tunnell Cancer Center recently. The team members at Tunnell noticed a duck quacking loudly around a storm drain to the rear of the facility. Upon investigation, team members saw several ducklings in the drain. The rescue team responded and was able to save most of the ducklings. 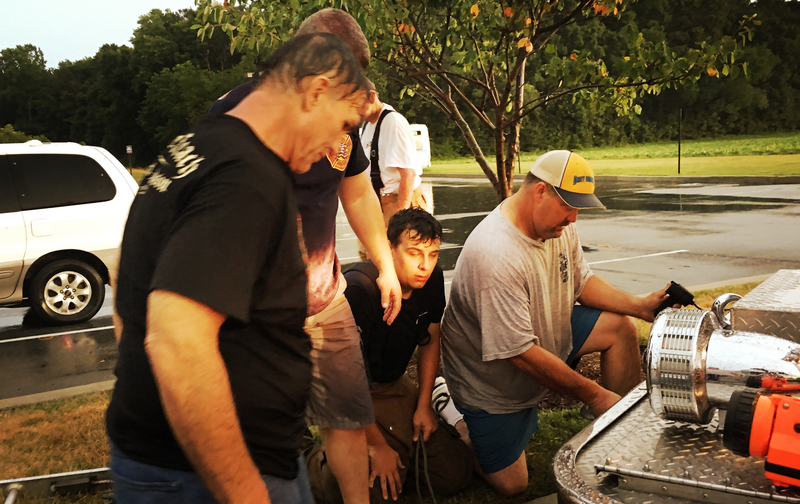 The responders included Ted Doyle, Jesse Imhoff, Fire Chief Chatham Marsch, Connor Satchell, Leonard Tylecki, Captain Vaughn McCabe, and Safety Officer Howard Blizzard. Thanks to the Rehoboth Beach Fire Department for all they do! Shown at top are the responders (left to right) Ted Doyle, Jesse Imhoff, Fire Chief Chatham Marsch, Connor Satchell, Leonard Tylecki, Captain Vaughn McCabe, and Safety Officer Howard Blizzard. 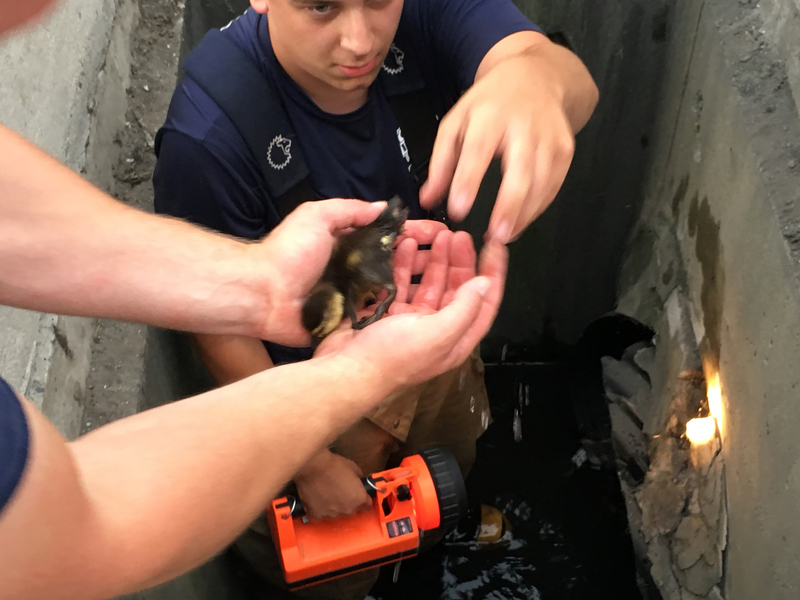 Above right: Rehoboth Beach Fire Department crew member Connor Satchell hands up one of the ducklings to a team member. Above center: The Rehoboth Beach Fire Department crew works to open the storm drain. 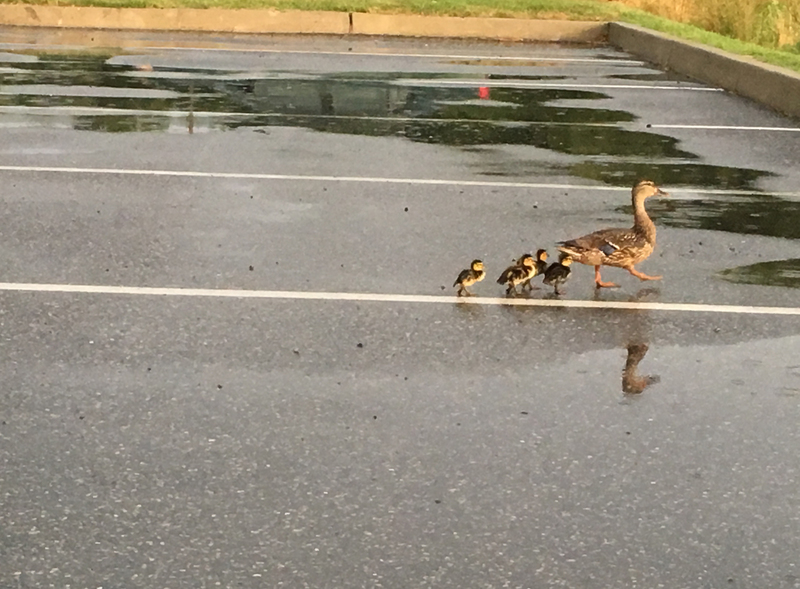 Above bottom: After the rescue, the mother duck and her ducklings headed out of the parking lot and hopefully will avoid storm drains in the future.